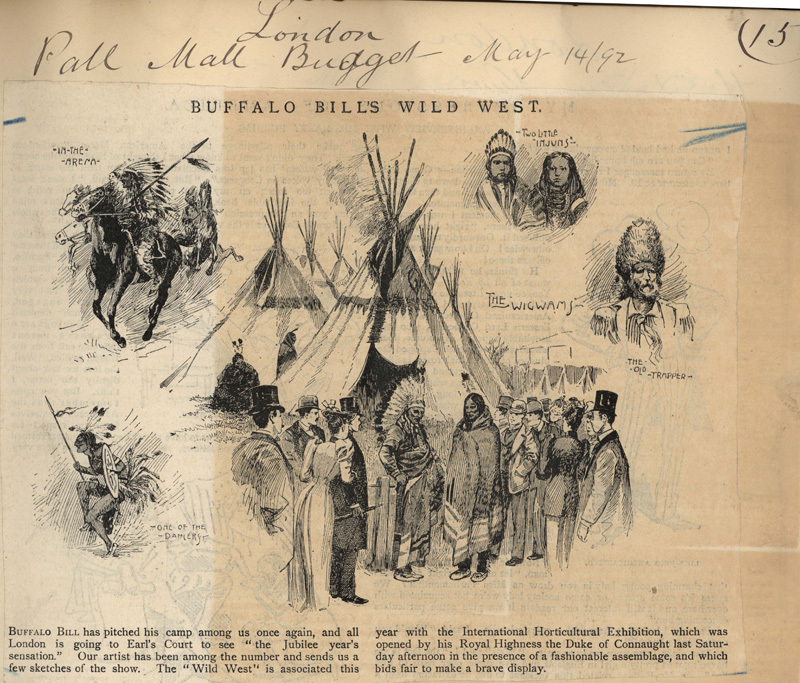 BUFFALO BILL has pitched his camp among us once again, and all London is going to Earl's Court to see "the Jubilee year's sensation." Our artist has been among the number and sends us a few sketches of the show. The "Wild West" is associated this year with the International Horticultural Exhibition, which was opened by his Royal Highness the Duke of Connaught last Saturday afternoon in the presence of a fashionable assemblage, and which bids fair to make a brave display.